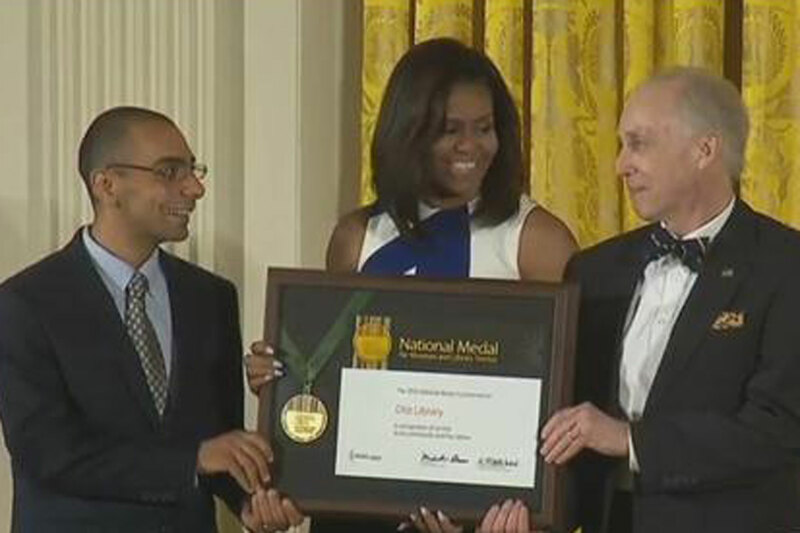 First Lady Michelle Obama presents nation's top library award of excellence to Robert Farwell, executive director of Otis library, and multicultural services coordinator Bassem Gayed. Otis was among five libraries and five museums honored Wednesday with the Washington, D.C.-based Institute of Museum and Library Services 2016 National Medal for Museum and Library Service, the nation’s highest award given to museums and libraries for service to the community. She called all libraries and museums the “life's blood of a community,” often the only places some residents have to find resources and inspiration they need to succeed.